Tagline Something funny is happening in WINTER KILLS. Take it seriously! 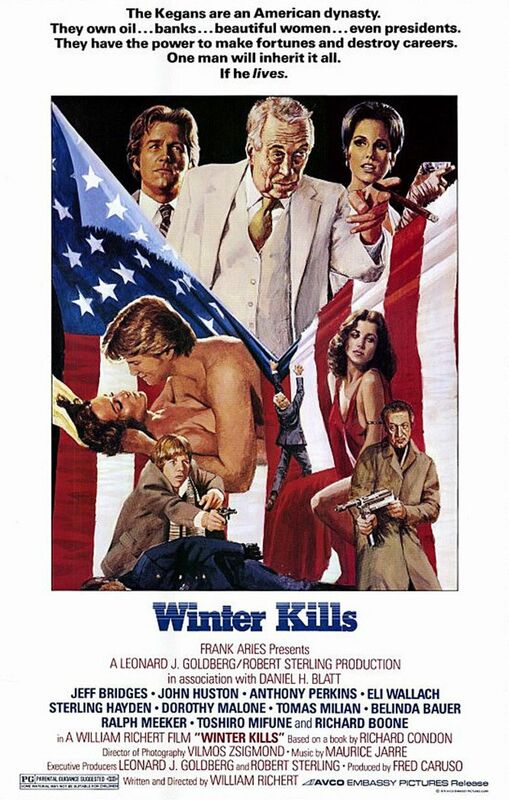 Winter Kills is a 1979 film, directed by William Richert, based on the novel by satirist Richard Condon. 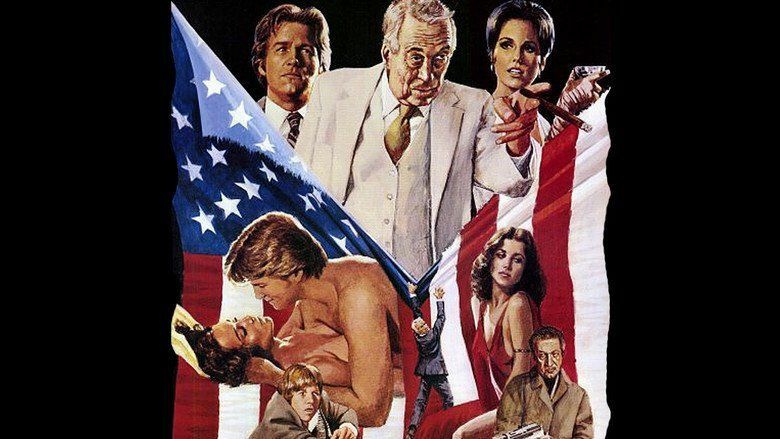 A black comedy fictionalising the assassination conspiracy of President John Fitzgerald Kennedy, its cast includes Jeff Bridges, John Huston, Anthony Perkins, Eli Wallach, Richard Boone, Toshirō Mifune, Sterling Hayden, Dorothy Malone, Ralph Meeker, Elizabeth Taylor, Berry Berenson and Susan Walden. Most of the film was lensed by cinematographer Vilmos Zsigmond, and the production designer was Robert Boyle, who cited the film as one of his favorites. The director, however, was relative novice William Richert. The film simplifies the plot of the book somewhat, emphasizing humor. It follows the events surrounding the assassination of President Kegan (patterned after John F. Kennedy). Several years later, the President's brother Nick (Bridges) discovers leads which suggest there may have been a plot to kill the Chief Executive. 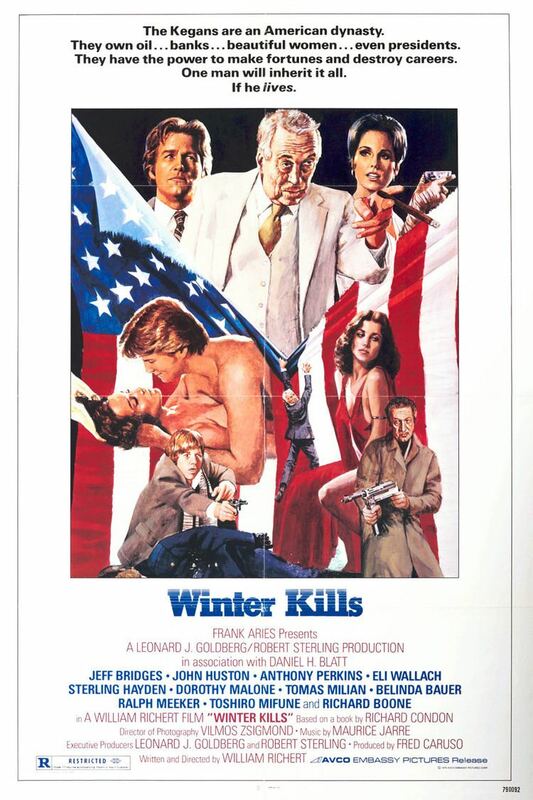 The ending of the movie is ambiguous, leaving it unclear whether President Kegan had been killed by his father (Huston), or the father's assistant, John Cerruti (Perkins). Nick Kegan (Bridges) is the son of world-famous tycoon Pa Kegan (Huston) and the younger half-brother of the late U.S. President Timothy Kegan, who was slain by a lone sniper 19 years earlier. When an ex-convict named Arthur Fletcher (Joe Spinell) makes a deathbed confession to Nick, claiming that he was the second of two riflemen who shot the president and was sub-contracted by an unknown agency, Nick sets off on a quest to discover the truth about his late brother's murder. Nick's search takes him from the scene of the crime in Philadelphia, to New York, to California, and Washington, D.C. to uncover the conspiracy about President Kegan's murder. During his epic quest, Nick meets people connected to President Kegan who include the billionaire war-games fanatic Dawson (Hayden), a mob boss known only as Gameboy (Meeker), shady nightclub owner Joe Diamond (Wallach), a Cuban mafia kingpin named Frank Mayo (Tomas Milian), eccentric computer developer John Cerruti (Perkins), and a notorious Washington madam named Lola Comante (played by Elizabeth Taylor in an uncredited cameo). As the list of suspects takes Nick deeper into his late half-brother's life and political secrets, all of the people he meets end up being murdered by unknown killers, while a mysterious woman on a bicycle always seems to be around at the time of the killings. Pa Kegan tries to get Nick to stop his investigation before he, too, becomes a fatality. The production went so far over budget that it was shut down three times having declared bankruptcy. The film had been produced by two wealthy marijuana dealers — Robert Sterling and Leonard Goldberg. Goldberg was murdered by the Mafia in the middle of production, for failure to pay his debts, and Sterling was later sentenced to 40 years in prison for marijuana smuggling. Richert and much of the cast went to Germany and filmed a comedy called The American Success Company which made enough money to fund a resumption of Winter Kills two years later. Many of the film's interior scenes were shot in 1977 at the Greystone Mansion in Beverly Hills, then home to the American Film Institute's film school. Influential publications including the New York Times, Newsweek, and The New Yorker gave positive reviews, but it made little money when released. Condon and Richert hypothesized that distributor Embassy Pictures killed it deliberately in order to avoid threatening legal defense contracts elsewhere within the conglomerate. 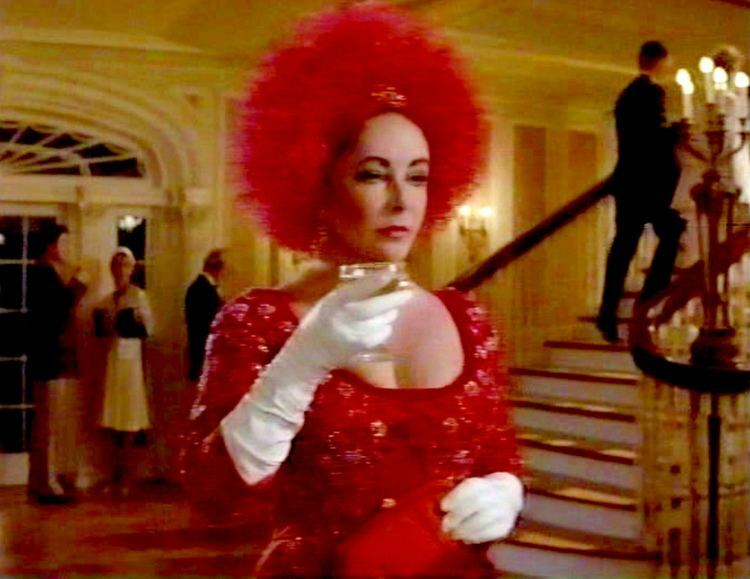 A later release (and distribution to video) fared better, and included scenes not shown on screen, with additional footage by Elizabeth Taylor. 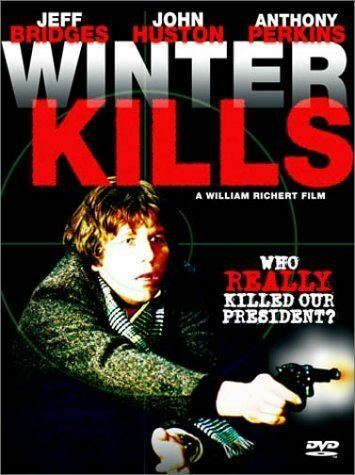 Who Killed 'Winter Kills'? is a 2003, 38-minute documentary film about the production of the film.